"Le Baladin Noel is brewed in the tradition of an ancient winter warmer. A strong complex beer that will keep you warm during the cold months of winter and accompany any festivities. 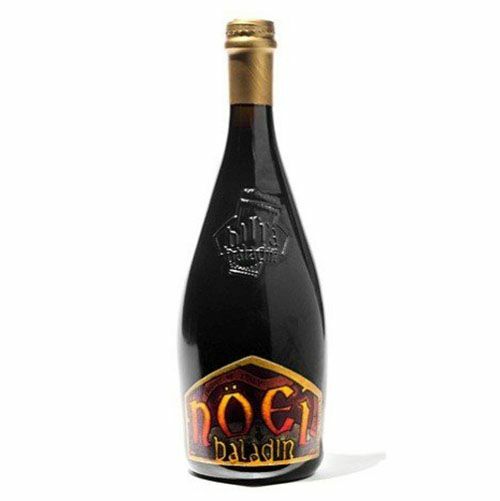 Le Baladin Noel's is an ale with an incredible complexity of aromas: flowery of rose, hint of dried fruits, caramel tasting, banana, cherry, plum, toffee, cocoa, licorice and peppery notes. 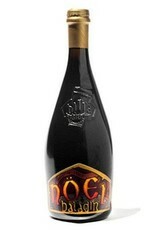 Excellent with black chocolate, a glass of Noel is perfect for a special night."